Other highlights include a 12th century cross, a triptych, and a wooden sculpture of a buried Christ. The bell tower of the church had five bells all made in 1849, and they are still perfectly in tune in the major diatonic scale of D3. 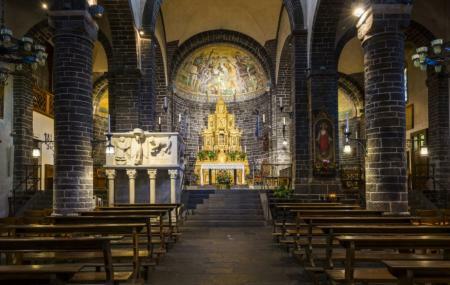 How popular is Basilica Di San Giacomo? People normally club together Clusone and Molino Del Dosso while planning their visit to Basilica Di San Giacomo.